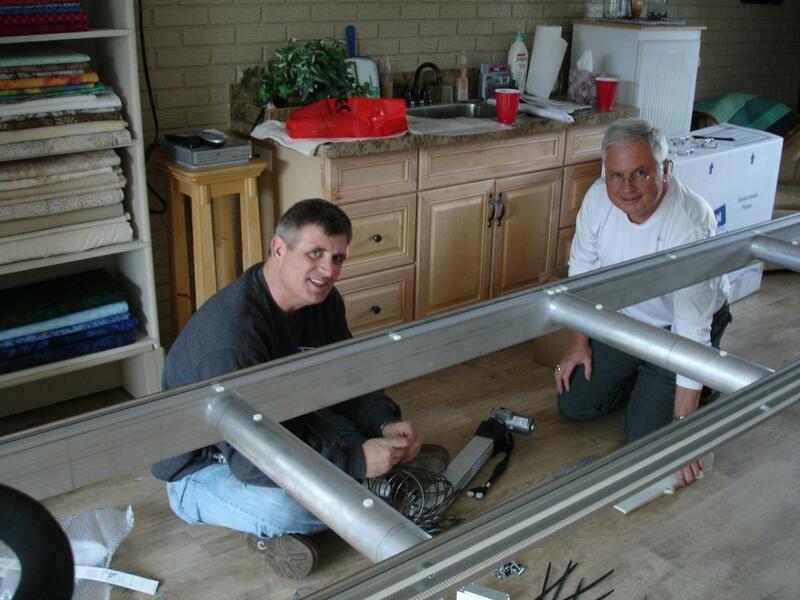 In case you've never met Bob and Rick from the APQS team, here's a picture of them installing my machine last week. Handsome, friendly, knowledgeable, good at what they do. And I was so thrilled with their work and their delivery. Thank you so much. Wow, Georgene, that's what I call personal customer service! Great picture of Bob and Rick! Congratulations on your New Gen Millie and Quilt Path! Enjoy your new ride!